Are you looking for a resin grip bag? A Resin grip bag is perfect for keeping your hands dry while bowling. It ensures a secure grip for each delivery! 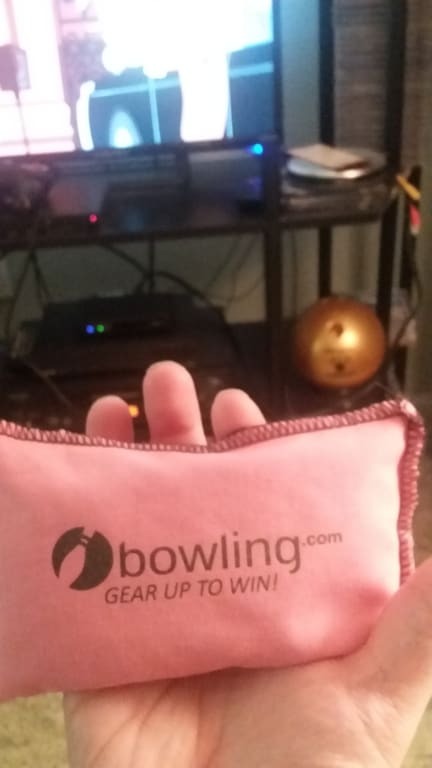 If you want you hands to stay dry then look at getting this bowling.com resin grip bag! The bowling.com resin grip bag keeps your hands dry and ensures a secure grip for each delivery. It provides a consistent feel from shot to shot and will improve your average. I use this a lot! I purchased a new ball and received a great price on the grip bag. Nice price and a good size resin bag. Great products, price and delivery. I will be back, thanks. A great price for this product. This method of keeping hands ready for your next shot is much better than using the small resin bags that most people use. No complaints. Great product for the price. It adds pleanty of grip. Never used this type of item till this purchased and I wondered why haven't I done this before. A great tool! By Dave from Columbus, Ohio. This is the ONE thing that I got from you guys that I am unhappy with. The very first time I used the grip sack, it broke. Pulled apart. It's like the swtitches weren't sewn all the way, and if they were, it wasn't very tight. I just pitched it. Good product, I will buy again! I've had the resin grip bag for almost a month now, and it already has a little tear in it, so some of the stuff is coming out, but otherwise, it does what it's supposed to, and I'm happy with it. Maybe i got a bad one, but not even a game into using it the stiching on the corners started coming apart and the resin pieces started coming out. I just had the maid sew it up, and it is fine now. I bowl at least once a week, and use this every day. Still gives plenty of rosin! Definitely reccomend. That grip bag I own from you was awesome!! I will definitely look forward to get more grip sack from you. Forgot how much I enjoy a good grip sack. Haven't been using one for a while, and it's really helping me keep my hand just right. Designed to put the proper amount of resin out. It does not make a mess like bags of the past. The bag is not the strongest. Forget it if you want to sit it up with two balls in it. Hi Jimbo. They are $8.99 each. How will when I need to replace it? And get a new one? Once the powder stops coming out, then you will need to replace it. 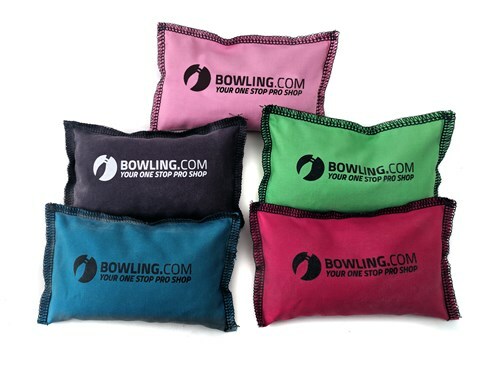 Due to the time it takes to produce the Bowling.com Grip Sack ball it will ship in immediately. We cannot ship this ball outside the United States.